ShadeCraft launched the BLOOM parasol automation device at CES 2019 which also serves as an outdoor speaker. The device’s motor can be controlled through the company’s SmartShade smartphone app or through any Alexa-enabled device allowing the user to open or close the parasol without having to lift a finger. BLOOM also contains onboard sensors which can automatically close the umbrella when it detects high winds and the company claims these sensors can provide more reliable and specific data on the weather and air quality than a traditional weather app. In addition to the its automation capabilities, BLOOM also functions as an outdoor speaker which has both WiFi and Bluetooth connectivity. 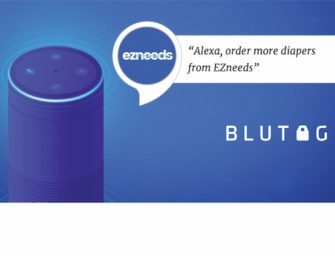 Although it is not a true smart speaker with Alexa integration, the BLOOM does have voice control functionality through Amazon Alexa and its compatible devices. The BLOOM parasol is available for pre-order for $399 which for a limited time, also includes a parasol free of charge. At CES this year, there seemed to be a smart version of everything, from smart bikes to smart dog harnesses. The problem is it can be difficult to motivate consumers to purchase a more expensive smart version of a product they already own especially if it is not an item they use every day. BLOOM may include a parasol for a limited time as the device works with any existing parasol, as long the pole diameter is between 1.25” and 1.5”. BLOOM took a different tactic from other vendors at CES. Instead of selling a brand-new smart product they are selling a smart “add-on” for a typical consumer product. It is a solid business tactic as it gives consumers the option to turn any umbrella they already own into a smart one. A smart umbrella may not be used every day, but if a consumer is in the market for an outdoor speaker, might as well purchase the one that can automatically open or close your umbrella and give you an accurate weather forecast as well.